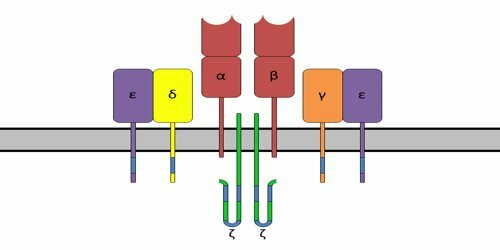 T-cell receptor (TCR) is one of two polypeptide chains (a or ß) on the surface of T lymphocytes that recognize and bind foreign antigens. TCRs are antigen specific; their activity depends on antigen processing by macrophages or other antigen-presenting cells and the presence of major histocompatibility complex proteins to which peptides from the antigen are bound. The TCR is a device, which used by T cells for recognizing specific antigens. T cells have receptors that are activated exclusively by a target antigen. It is composed of two different protein chains (that is, it is a heterodimer). 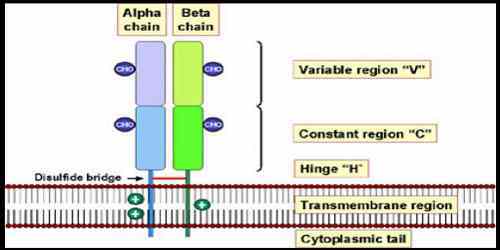 In humans, in 95% of T cells the TCR consists of an alpha (α) chain and a beta (β) chain (encoded by TRA and TRB, respectively), whereas in 5% of T cells the TCR consists of gamma and delta (γ/δ) chains (encoded by TRG and TRD, respectively). This ratio changes during ontogeny and in diseased states. It also differs between species. T-cells are a subset of lymphocytes that play a large role in the immune response. 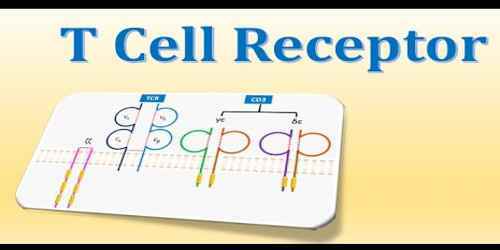 The TCR (T-cell receptor) is a complex of integral membrane proteins that participate in the activation of T-cells in response to an antigen. Stimulation of TCR is triggered by MHC (major histocompatibility complex) molecules on cells with the antigen. Engagement of the TCR initiates positive and negative cascades that ultimately result in cellular proliferation, differentiation, cytokine production, and/or activation-induced cell death. These signaling cascades regulate T-cell development, homeostasis, activation, acquisition of effector’s functions and apoptosis. Thermo Scientific™ has a wide range of products to help with TCR research. Our blood is composed of different types of cells, one of which is the white blood cell, or leukocyte, that forms part of our body’s defence system against intruders such as viruses, bacteria, and parasites. Lymphocytes, monocytes and granulocytes are all types of white blood cells with specialised roles to play. Of these, the lymphocytes are critical for mounting an adaptive immune response, which specifically targets the invading pathogen. The receptors on the surface of B cells (BCRs) can bind to soluble antigens, while T cell receptors (TCRs) can only recognise an antigen when it is complexed with major histocompatibility complex (MHC) molecules on the surface of other cells.